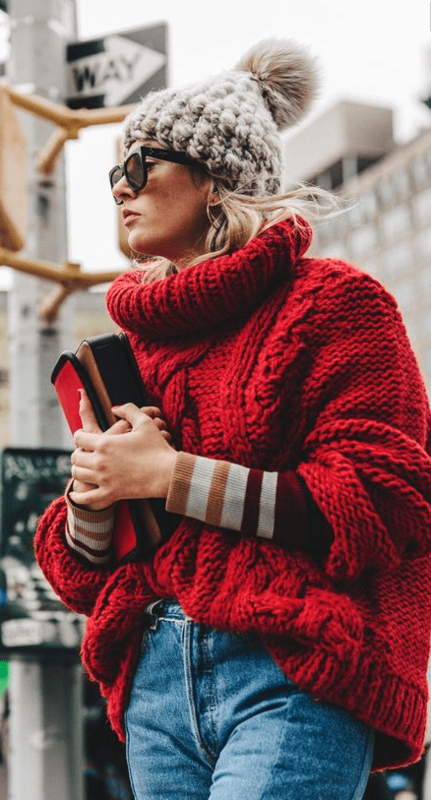 I suddenly wanted to wear something red the other day… and I felt it quite specifically, a loose fit crew neck jumper to liven up my camel coat. 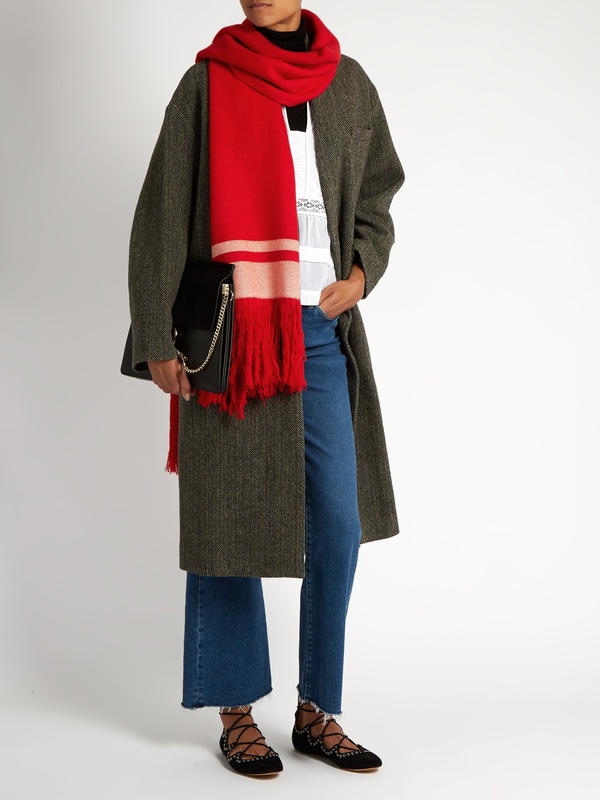 I didn’t want to spend a lot for this item, but I wanted it to be warm, soft and a cosy ’weekend’ fit. 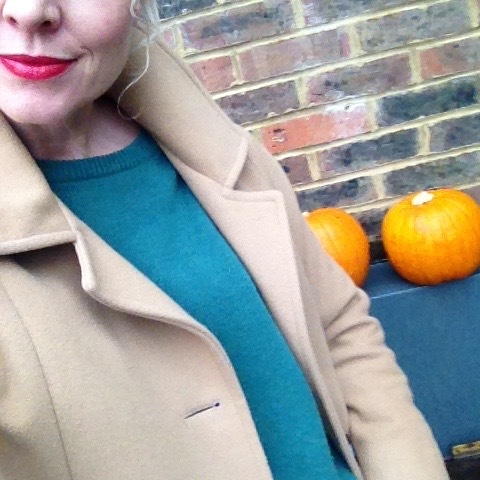 Maybe it’s red as Christmas is looming or just Autumn leaves inspiration but I realised most of my knitwear is in shades of grey, which I still love but wasn’t exciting me – it’s colour, I think I really want more of it. So with red in mind, I found inspiration in this lambswool blend with 5% cashmere from Jigsaw, a deep, blue tone red. 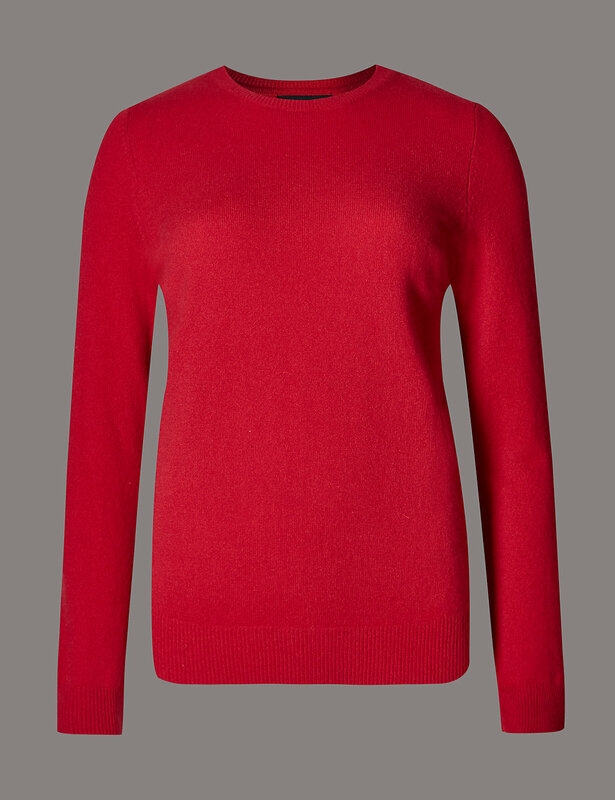 For more of a cherry red, Jaeger’s cashmere, perfect to layer over long sleeve T’s. 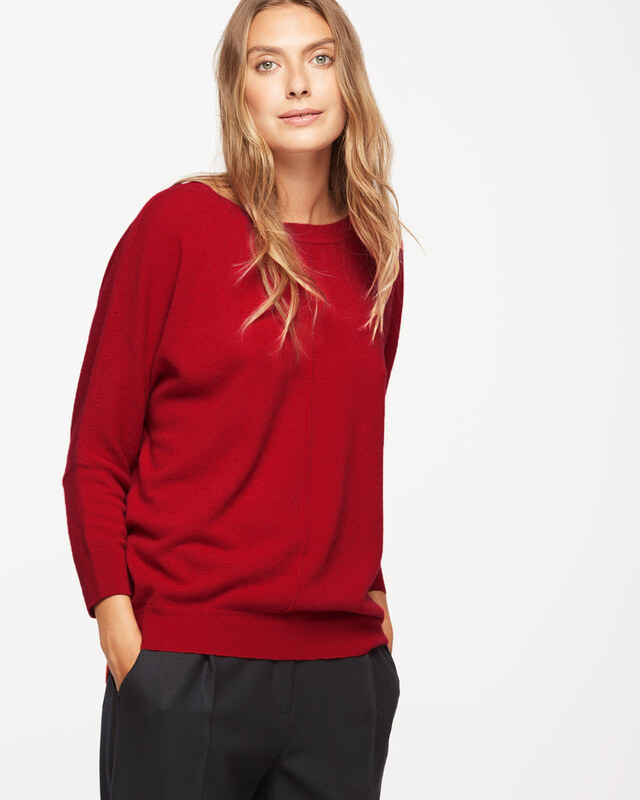 Classic round neckline in an easy fit from Marks & Spencer. Great value in a large range of colours from Woolovers. I will be ordering at least 2 sizes up for ease. 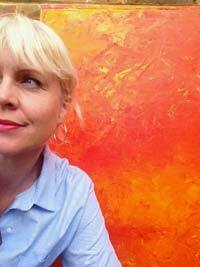 If full on red is a bit too much for you, just try a hint or splash of colour. 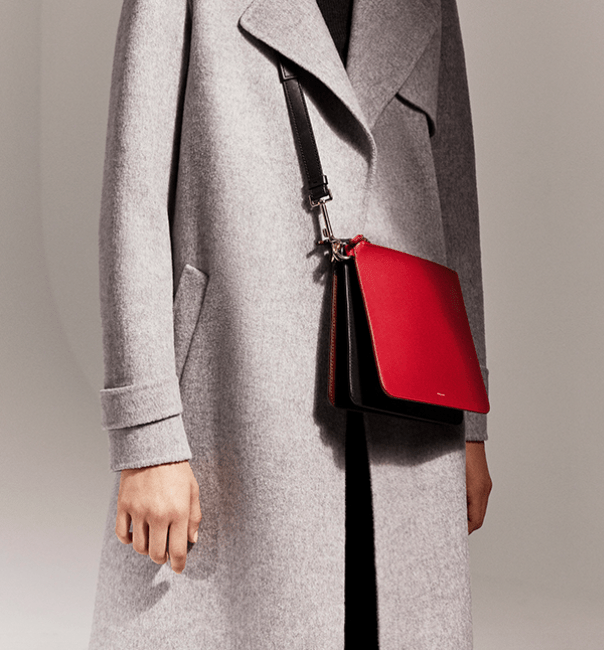 A bag or scarf over neutrals will also hit the spot. Get inspired by this Theory image, their transformer bag, where you choose your straps. 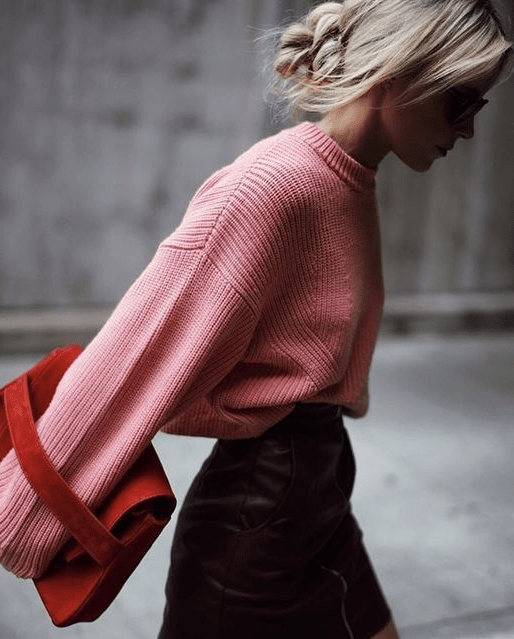 Red is gorgeously fresh with pink, layered over a shirt and amazing with blue jeans – yay! See theses great images from Pinterest. My red sweater is on it’s way, but in the mean time I found a men’s pure wool sweater in fir tree green, so I put red lips on instead. It’s a start! Men’s wool sweater, similar, from EWM.